Sports betting portals most often associate Asia only with football (soccer) betting. These websites that are owned by Europeans and Americans probably do not know how popular NBA basketball betting is in Asia. It can be bet on legally bet many countries. This includes China and Taiwan where NBA odds are listed with Chinese Sports Lottery (Sportery) and Taiwan Sports Lottery (TSL). As well as this, there are also numerous Asian basketball leagues that are popular betting markets at online bookies. While the NBA is tops in the world, drawing an average attendance of over 17,000 per game, two Asian leagues make the top 4. Second overall is the PBA from the Philippines drawing over 7,000 per game. Europe takes the #3 slot with Spain’s ACB drawing almost 6,500 fans per game, and then back to Asia where China’s CBA basketball is #4 drawing over 4,600. While Europe’s Lega (Italy), ProA (France), Bundesliga (Germany) currently take the #5, #6 and #7 slots, Japan’s BJ League is #8 and is in a close race with these three. This league is still rather new and with the money invested has the potential to become the third Asian league in list of the 5 most attended basketball leagues in the world. The Korean Basketball League (KBL) is another popular league, who round off the top 10 in the world for attendance per game. Online betting is available for all of the basketball leagues mentioned above. In this article I’ll cover some general information about the most popular Asian leagues and competitions, but will also cover where you can bet NBA basketball online from Asia. Before continuing, let me first give you my recommendations for the best basketball betting sites for your location. After that I’ll look at how to be on basketball, the types of bets that can be made and the various markets available. Handicaps (Point-Spreads): Because in most basketball games one team is much better than the other, handicap betting is more common than home/away. How this works is if the home team is favoured by 7.5 (shown as -7.5) and you bet them, they’ll need to win the match by at least 8 points for your bet to be a winner. If you bet the other team who is +7.5, you win this bet if they win the game, or if they lose by 7 or less points. Home/Away (Moneylines): This is a straight bet on which team will win the game. When betting big favourites the odds will be small, and when betting big underdogs the odds are large. Again so often favourites have such small odds that many recreational bettors avoid this option and look for close to even-money on the handicap. Total Betting (Over/Under) : With this option the bookmaker predicts how many points will be scored in the game (both team’s points added to together) and punters make wagers on whether the total points scored will be over or under his predicted total. Most internet bookies offer first quarter, first half and full game betting with the above options. Also, for NBA basketball, online bookies generally also offer propositions (also known as props or prop bets). For example, you can bet things like which team will score 10 points first, will a certain player score over or under a certain number of points, which of two players will score more points, as well as many additional prop bets. The NBA from the United States has the most television coverage and the largest sponsorships of all the world’s basketball leagues and there is no league coming anywhere close to competing. They pay the highest player salaries, and have no restrictions on foreign players. The same way Yao Ming played most his career in the NBA instead of China’s CBA, the best players from around the world do not play domestically. For example: Spanish players Pau Gasol and Marc Gasol play in the NBA rather than in Spain’s ACB league, and German players Dirk Nowitzki and Carlos Boozer also play in the NBA rather than German Bundesliga. It’s the dream of young basketball players everywhere to someday get a shot at playing for an NBA team. NBA teams gain great followings globally due to their foreign star players. For years the Houston Rockets were the most popular NBA team in China due to Yao Ming. Recently, a young American-born player of Taiwanese descent made the New York Knicks an international sensation after an unlikely heroic run. This saw Taiwan’s only legal betting company Taiwan Sports Lottery (TSL) incorporate promotions and betting selections around the success of the Knicks and Jeremy Lins’ performance in games. As a free agent, during the 2012 offseason, Lin signed a 3-year $25 million (USD) contract with the Houston Rockets. This was a move that could potentially keep them in the lucrative position of being Asia’s most followed NBA team. The bottom line is that the NBA has the best players and the most coverage. This is the league all online betting sites focus on for basketball. This is true at Asian bookies, US sportsbooks and UK bookmakers. While other leagues don’t have much international following, there are popular domestic leagues around the world. For example PBA is hugely popular in Philippines and CBA is famous in China. Betting websites have players from all over the globe and to compete they offer betting on all the European and Asian basketball leagues. Considering we’re discussing Asia and basketball, it only makes sense I provide some information about Asian basketball leagues that can be wagered online. I’ll start with discussing basketball in the Philippines as this is where the history of Asian basketball dominance began. While covering this South East Asia country I’ll also cover Asian basketball competitions which will involve basketball in Indonesia, Thailand, Malaysia, Singapore and Vietnam. Finally I’ll conclude with some information on other top Asian basketball from China, Japan and Korea. This history of basketball developing in Asia started with the Philippines dominance of the sport on the continent during the 1950s to early-1970s. The Asian Games is an Olympic-style multi-sport competition for Asia that started in 1951 and is held every four years. Basketball has always been a part of it. The Philippines Mens National team won this competition the first four times it was held (1951, 1954, 1958, and 1962). In 1960, what’s now called the FIBA Asia Championship was started. This is held every two years and acts as the Asian qualifying tournament for the FIBA World Championship and the Olympic basketball tournament. The first seven times this tournament was held (1960 to 1973) the Philippines won a medal each time, including four gold medals, two silver medals and one bronze. During this period of dominance, at the 1954 Olympics Philippines became the first country outside the United States and Europe to earn an Olympic basketball medal when they took the bronze. Philippines’ dominance in Asian basketball competitions came to an end in 1973 as this would mark the last year they’d compete in these competitions for almost two decades. What happened is the Philippine Basketball Association (PBA) was started in 1975. This is the world’s second oldest professional basketball league; only the NBA is older. When it was started professional athletes were barred from the Olympics and FIBA events. This meant, from 1975 on, the best players from the Philippines were no longer eligible to play, and for several years they didn’t even field a team in some of the biggest Asian competitions. Even after the rules were modified in 1992 to allow professionals, Philippines has been mostly a non-factor as a national team. They’ve been in numerous disputes with FIBA and were suspended from FIBA competitions for the 2001 season, and again for the 2005-2007 seasons. While they may not dominate on an international scale as a nation, their professional basketball is still well followed and popular for betting. Today PBA basketball is broken down into three segments. The Philippine Cup version allows no foreign players, which helps prepare them for Asian team competitions where imported players are not allowed. The other two segments, Governors Cup and Commissioners Cup, allow teams to import a limited number of foreign players. Pretty much all European bookies offer betting on PBA basketball. Some bookmakers even offer live streams for this league with the opportunity to bet matches while in play. Keeping on the topic of Philippines basketball, their country has two professional teams who are part of the ASEAN Basketball League (ABL). The first ABL season was 2009-2010 which saw the Philippine Patriots (now known as the AirAsia Philippine Patriots for sponsorship reasons) lift the trophy after an 11-4 season. They finished runner up in 2010-2011 and third place in 2011-2012. San Miguel Beermen, also from the Philippines, is the newest ABL team. They finished runner up in their inaugural season (2011-2012). Thailand is the only other country with multiple ABL teams. The Chang Thailand Slammers are an original team and they were the Champions in the league’s second season. The Bangkok Cobras were introduced for the third season. If you’re from Thailand looking to bet online, refer to our article on Thailand bookies or note: www.188bet.com is a great option for ABL basketball betting and they support Thai language and Thai Baht (THB currency). The current ABL Champions are the Indonesia Warriors who are the oldest team in modern Indonesian basketball. They were established in 1994, named the Satria Muda BritAma Jakarta and originally played in the Kobatama League. 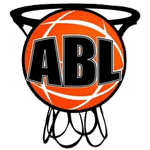 In 2003 they joined National Basketball League (NBL) which was then named Indonesia Basketball League (IBL) or in Indonesian: Liga Bola Basket Nasional. They still play in the NBL while also competing in the ABL. If you live in Indonesia and are looking to bet ASEAN or Indonesian basketball online, refer to my article on IDR Asian Bookies where I explain the banking methods and how to get around ISP blocks. Note that the site discussed in the intro of that article is also great for basketball betting. The other teams in the ABL not mentioned are the SSA Saigon Heat (Vietnam), JobStreet.com Singapore Slingers and Westports Malaysia Dragons. While I have guides that cover Singapore betting sites and Malaysia bookies, understand www.dafabet.com offers the best bonuses to Vietnam, Singapore, and Malaysia and offers betting odds on ABL and other Asian competitions. After Philippines dominance of Asian basketball ended due to ineligibility, shortly after China took over as the dominant nation for basketball in the region. Their men’s national team won the FIBA Asia Championship five consecutive times from 1987-1995, skipped a year finishing third in 1997, and then won four more consecutive times from 1999 to 2005. They were also runners up in 2009 and won their fifteenth Asia Championship in 2011. To put this in perspective China has won the Asian Championship 15 times. The only other countries to ever win this tournament are Philippines (5 times) and Korea, Iran and Japan, which each have won twice. There is no country that as of 2012 had won only one time. Also at the Asian Games (held every four years) out of all nine tournaments held from 1978 to 2010, China has won seven times. The only years they missed were 1982 and 1992 and they finished runner up to Korea both those years. With a country so dominant in Asian basketball it should come as no surprise there is a strong professional basketball league as part of their national setup. This league is the China Basketball Association (CBA). This is a highly competitive league that can be bet online with 188Bet and Pinnacle Sports to name just a few of the many sites offering CBA betting odds. The season has a total of 300 games and draws an attendance of 1.29 million per season. Out of the 17 teams, six have American head coaches. Quite a few CBA players have also played in the NBA. This includes Yao Ming, Wang Zhizhi, Yi Jianlian, Mengke Bateer, and Sun Yue. Also each team can have a limited number of foreign import players. Such players have historically dominated the league in scoring. Notable CBA players include NBA All-Stars Stephon Marbury, Steve Francis, and Kenyon Martin. Also, J.R. Smith and Aaron Brooks are former NBA players who have been CBA All-Stars. While Philippines might draw bigger crowds due to historical and longevity reasons, there is no doubt Chinese basketball is now tops in Asia. CBA is the most competitive and also most profitable. If you live in China and are looking to bet online refer to our article on Chinese bookies. Korea, while a distant second, is China’s top competitor on the Asian basketball scene. Their men’s national team has finished top two in 6 of the past 9 Asian games while winning the gold twice. They also have finished third at two of the past three FIBA Asia Championships (2007 and 2011). Their professional basketball league is Korean Basketball League, almost always abbreviated KBL. While not quite at the level of Chinese Basketball Association (CBA) or Philippine Basketball Association (PBA) it is still one of the better financed and organized basketball leagues in Asia. There are ten teams, each plays 54 games in a season, and each team is allowed two foreign players (now with no height limit). While not as many betting sites offer betting on this league you can find it covered at 188Bet. If you’re from Korea and want to bet KBL or even WKBL (the ladies version) online, be sure to read my article Online Betting in Korea where I cover the solutions to depositing, getting paid and getting around ISP redirects to warning.or.kr. The final country worth discussing for Asian basketball is Japan. They have two professional basketball leagues. The lower is Japan Basketball League (JBL) which has a division one and division two. Established in 2005, the most prestigious basketball league in Japan is the BJ League. This is fully professional and not at all associated with JBL (meaning there is no promotion and regulation between BJ League and Japan Basketball League). The BJ league started with 10 teams, now has 19, and there are plans to expand the league to 24 teams by the 2014-2015 season. This league is heavily marketed and sponsored, and has its own all All-star game, playoff system, and awards system such as MVP and Best 5 that picks the best player at each position. While not quite to the level of other leagues mentioned in this article, BJ League is growing and very popular with Japanese punters. If you live in Japan and are new to online betting, refer to this article. While NBA betting is most popular in Asia, you can still see from all that’s covered in this article, there is no shortage of Asian basketball leagues that can be bet online. I’ll say this: NBA betting is a lot of fun! But, if you’re looking for the best value, you can find more value at websites covering Asian leagues. Bookies live-streams many Philippines PBA basketball games online. Chinese basketball now receives internet coverage. NBA betting is tough to beat because the markets are quite efficient. The Asian leagues are mostly dominated by fans from a certain country betting. If you can learn these leagues without getting caught up in fan bias, there is a great deal of money to be made betting Asian basketball.